Customer Reviews of Safe Sheds Storm Shelters - Safe Sheds, Inc.
See what Safe Sheds customers have to say about the buying process, the service they received and their shelters! Click any headline to read our customers' comments! 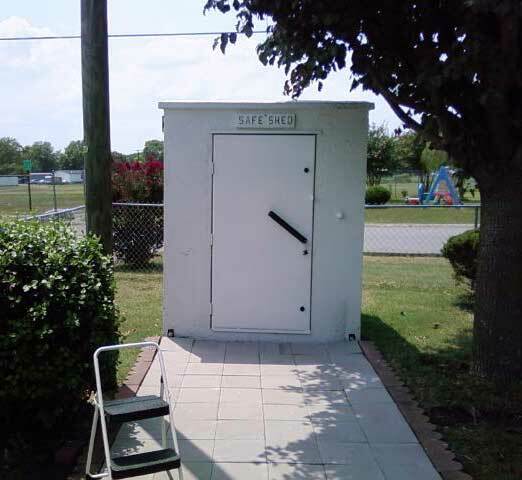 "[The Safe shed] did what is was supposed to do - save our life"
"After a tornado on April 25, 2011, hit Vilonia, AR, one of my top priorities was to invest in a storm shelter. We never expected yet another tornado just three years later - April 27, 2014, almost to the date, to travel the same path and hit Vilonia, AR, again. We went into the Safe Shed and had not been there long when we heard it coming. We could hear stuff slamming against the door and all around us...it did what it was supposed to do - save our life. There were seven of us in there and our two small dogs. The Safe Shed was the only thing left standing on our lot. We lost a double-wide mobile home, a 20' x 30' shop built from metal trusses (beams buried 3' deep with 3' of concrete on each one - it pulled them all out of the ground), a 14' x 16' storage shed with a loft, a 16' x 24' office building, 5 company vehicles, and 3 personal vehicles. Everyone who came by could not believe we were in the little building that was still standing even though everything else was gone. They had to look inside and take picture of it. This was an investment that we have never regretted making. I felt safe, just knowing it was out there in case we needed it." "To be able to tell our boys that we are safe was the best feeling ever"
"Hello! It's the Brooks family from Clarksville, TN. Although we dodged a major bullet last night, we were in our Safe Shed last night the entire night. There is nothing like piece of mind. To be able to tell our boys (4 & 8) that we are SAFE was the best feeling ever. It was a sight to see to have our three cats, two dogs, and four people in our shed, but there was plenty of room, and we all just snuggled down and slept. So I wanted to say thank you very much for your product and, after last night where 24 people lost their lives in Tennessee alone, my husband and I both said "money well-spent". "for the first time in 16 years, i wasn't afraid when we got a severe storm warning"
"Just thought I would send you pictures of the Safe Shed that I bought from you guys. You can see there was no mess left from the installation. Your guy did a wonderful job, and he was very careful on the deliver and set up. I have already used it two times for weather alerts on severe storms, and I love it! For the first time in 16 years, I was not afraid when we got a severe weather warning. I researched on the internet for tornado shelters for quite some time and compared many, but this is the only one I felt was the right one. I live in a mobile home and after seeing it and using it, I think anyone who lives in a mobile home is crazy if they do not buy one of these Safe Sheds"
"everything from the first e-mail through delivery was better than promised"
Cheryl - Just a quick e-mail to say thank you to you, Rex, and, especially, Chuck, for a job well done! To you for your quick, courteous answers to all my questions before and after my purchase. To Rex for working with my delivery schedule and keeping me informed every step of the way. To Chuck for representing Safe Sheds in a very positive and professional manner during the delivery of our 8' x 10' shed. I'm sure you hear when things don't go as planned, I just wanted you to hear when everything went as promised. Everything, from the first e-mail through delivery, was better than promised. A company that delivers more than it promises is a rare thing, and I wanted you all to know that it is noticed." "Best price by far for the quality of construction and delivery charges"
"After approximately 3 years of researching underground storm shelters, I happened upon the Safe Shed for above ground storm shelters. My first thought was "you have got to be kidding...no way!". I decided to give the above ground storm shelters some serious research because my wife and I both have disabilities. I read everything I could find on above ground shelters for more than a year. I became convinced that above ground shelters made by Safe Sheds were being built to such a high standard, that they are fully capable of protecting my family and I from Mother Nature. I would not hesitate recommending Safe Sheds storm shelters to family members and my closest friends, and I do not say that lightly. Safe Sheds employees that I had assisting me with the purchase and installation of my shelter were respectful, courteous, and very knowledgeable. I would not hesitate to purchase another storm shelter from Safe Sheds. (P.S. Best price, by far, for the quality of construction and delivery charges." "Like dealing with friends, from start to finish"
"Very good people, like dealing with friends, from start to finish. Delivery was awesome, and the delivery man, Lee, bent over backwards to make sure I was satisfied. Thanks to Rex and Cheryl." "My family will have a truly safe place to go in an emergency"
"Just wanted to drop you a quick line to tell you how satisfied I am with my recent purchase of one of your Safe Sheds. From the beginning, when I first started to research your product on the internet, to you showing me one in person...the ordering process, the delivery. I was so impressed with the quality of the product and the professionalism of your staff. 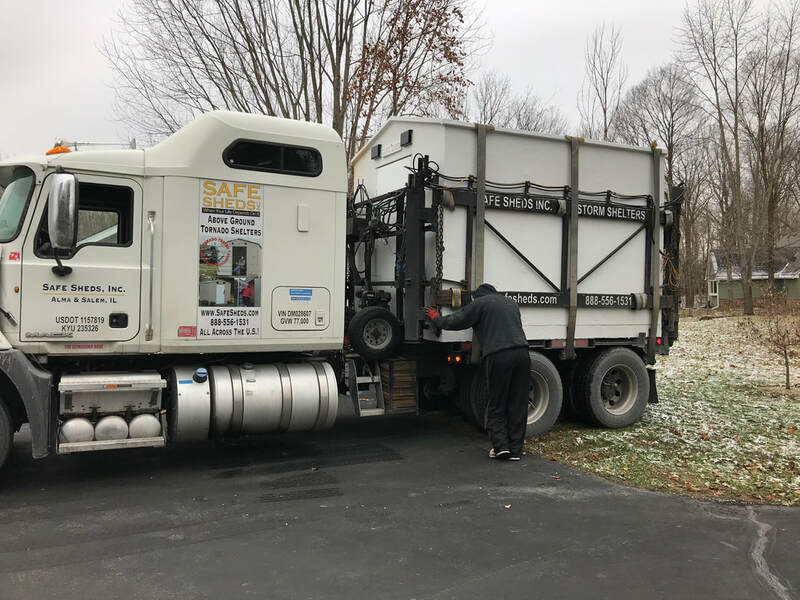 The minute my new Safe Shed was placed on my property, I experienced a tremendous sense of relief and confidence in knowing that my family and I will have a truly safe place to go in an emergency. Thank you so much and special thanks to Lee, who delivered my shed. I'm always impressed with anyone who is knowledgeable, talented, and enthusiastic about their work, and Lee is all of that. Can't wait to show my new shed to all my friends and neighbors. Thanks, guys!" "we could not be more pleased"
"We could not be more pleased! At first, we were hesitant to buy from an out-of-state manufacturer but very glad that we did. Rex was extremely helpful and informative; he even located an Oklahoma owner and arranged for us to see their Safe Shed. Our delivery person, Chuck, is a really nice guy and showed us all the features. He touched up the paint, concreted the anchors, and cleaned up afterwards; very efficient. We have already shown it to our neighbors who really like it. We do highly recommend it, however, we haven't actually used it. Only had it 5 days, and, with luck, we won't need it, but we live in Oklahoma so there is not much chance of it not being used. Thanks, Safe Sheds." "My wife and i spent 2 nights & numerous daylight hours in our safe shed"
"There were 29 tornadoes in southeast Texas this past August. All of these caused by Hurricane Harvey. My wife and I spent 2 nights and numerous daylight hours in our Safe Shed. There were a lot of tornado warnings for our immediate area. We feel like the Safe Shed wasn't the most expensive investment we ever made, but it was the most significant we ever made. It did what it was advertised to do. Kept us safe. You can't put a price on that. Just want to say thanks." "i could not be more happy with the safe shed"
"Lee showed up bright & early yesterday, and the delivery & installation went like clockwork. I could not be more happy with the shed & just wanted to say that Lee is a great representative of your company; very courteous & professional. He did a great job getting the shed into the right position for placement & all went well. My neighbors were coming over throughout the day to check it out &, believe it or not, they even said they feel a sense of relief knowing their might be room for them in the event a tornado ever comes knocking. For 22 years I have been concerned about what I would do in the event of a tornado...well, no more worries at my cottage." "I want to thank your company for excellent service and an outstanding product"
"Good morning, Cheryl. I want to thank you and your company for excellent service and an outstanding product. I believe that I have made the best choice, choosing a Safe Shed to keep me and my family safe in the event of a storm. It gives me peace of mind knowing that the shed is there. That I have done all in my power to supply a safe place when we might need it. Furthermore, I want to thank Chuck, who went the extra mile to install my shed exactly where I wanted it. He did an outstanding job and is a credit to your company. I also appreciate the $50 finders fee that I received. My neighbor decided on a Safe Shed after looking at mine and listening to the reasons why I'd chosen a Safe Shed. I wish you and your company all the best for the future. God bless." "As a retired engineer, I appreciate the design for my family's safety"
"Eric delivered my Safe Shed today. I cannot say enough good about the delivery and installation. My Safe Shed is quite impressive, SOLID - real SOLID. As a retired engineer, I appreciate the design for me and my family's safety. It is a bunker versus the locally available above ground septic tanks relabeled as shelters. I would like to thank Cheryl for the weather work-around scheduling. Please thank all who had a hand in my Safe Shed design and construction. I hope we never need it, but, short of an underground bank vault, I can't think of a safer shelter." 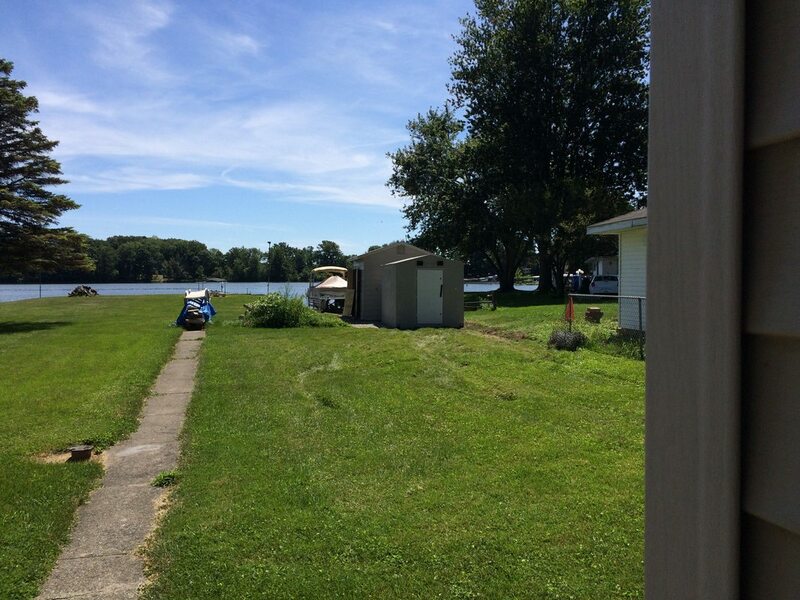 "AFTER 2 YEARS OF RESEARCH, I ENDED UP HAVING AN ABOVE GROUND TORNADO SHELTER FROM SAFE SHEDS INSTALLED TODAY." wanted something above ground, that she did not have to navigate steps and I would provide an exceptional level of protection. The company was very professional, efficient and the installer was very skilled in the job he did."